Described by Mixcloud as a “young Gilles Peterson”, Tina Edwards is a broadcaster and music Journalist who has introduced Jazz to a young, trend-conscious, audience. Recognised as a tastemaker, she’s championed new and established artists across EZH, Worldwide FM, 4music, British Airways, Balcony TV, Hoxton Radio, and has also appeared on BBC Newsnight. Tina Edwards is Founder of digital platform EZH. Most of the site’s readers and listeners are under the age of 35; testament to the fact that Tina has helped to reshape the way that young people think about the genre. She’s hosted a London gig series featuring huge names, and earlier this year, she co-curated the first ever UK jazz stage at world famous SXSW Festival in Austin. Here, Tina presented a panel which explored how Jazz has been affected by the digital age - almost 20k people watched live online! Not limited to jazz, Tina has a sharp ear for new music across all genres. She hosts and produces Next Big Thing, a radio show for British Airways that showcases the most exciting talent breaking across the UK. Tina is also a notable Music Journalist who has written for Spindle, M Magazine, High Life (British Airways), The Arts Desk, Straight No Chaser Magazine and International papers (she was translated into German for her a feature on Brooklyn’s experimental music scene!). Tina began her presenting career with global platform Balcony TV. Over the last five years, she produced, curated and hosted the London channel featuring Youth Club, Jessie J, Ghetts, Ben Kenny (Incubus) and Ed Sheeran. In 2014 Tina was asked to co-host the launch party for London Live, alongside Alex Zane. As part of the launch, Tina was commissioned to present, produce and curate an 8 part music series based on Balcony TV London, exclusively for the channel. Tina has a wide spectrum of experience across broadcast. In 2013 she wrote and recorded voiceovers for ITN’s Heat TV, reporting on music and celebrity news. Alongside her voiceover work, she produced news bulletins for the breakfast show on 4music. Tina also spent 18 months writing presenter lead TV formats for a well known talent agency. During 2016, Tina presented two award-winning InFocus series with Blue Bay Travel across the Caribbean. This led to Blue Bay winning two ‘Travolution Awards’ in 2016, plus others across Europe. Tina was a member of the Shoreditch Sisters Women’s Institute for 3 years - a collective that regularly hit headlines for their knitted vulvas and campaigns. In 2015, Tina was invited to talk about why the WI is a positive force for women and equality on BBC’s Newsnight and BBC London Radio. 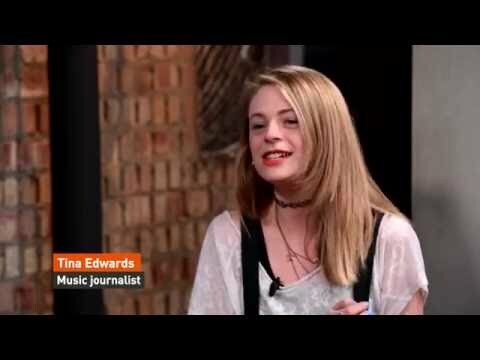 In her spare time, Tina DJs live shows, lectures at Universities on broadcast and Music Industry, and sits on PRS panels (Women Make Music, Momentum Fund, International Showcase Fund).